The sun comes up, and shines on our place about the same time it lights up Lake Superior -just 15 miles north of us. 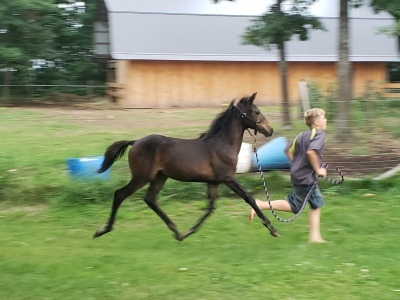 Conner as we call him, has become the kids favorite colt in our 2018 foal crop. 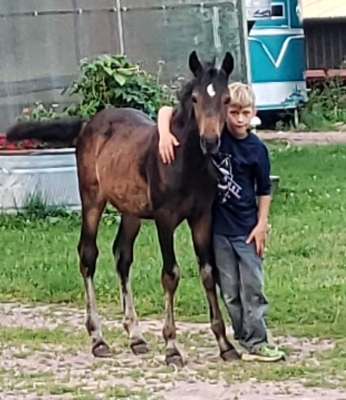 He is calm, willing, easy going, and patient with all the kids affection. 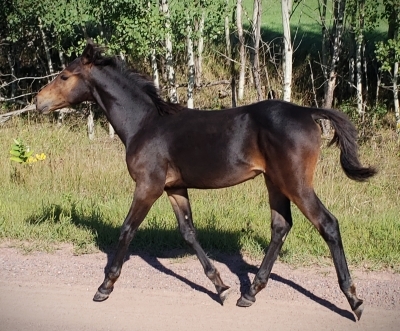 He has joined his mum on many trail rides and is super farmiliar with a busy family life. 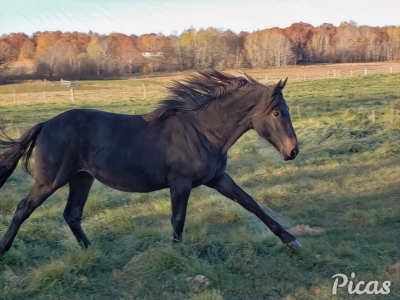 Athletic but sensible Conner will make a very veritile and dependable saddle horse. We are proud to be raising Morgans like this! 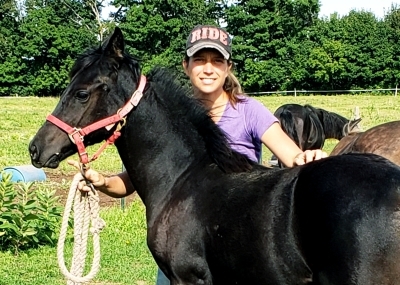 Dam: "Successful Black Magic" 15 hand strong black mare of the famed Robbie Sue line! 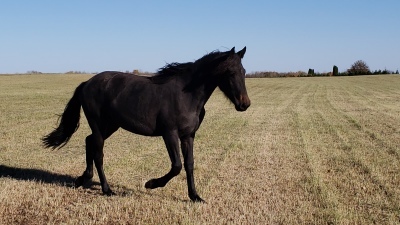 Sire: "Lindahl Jefe" (Ranger) Athletic ranch horse standing at the Sunrise Ranch! we expect him to be sensable and athletic in movment. This fella got the cream gene as a buckskin but not the grey gene. 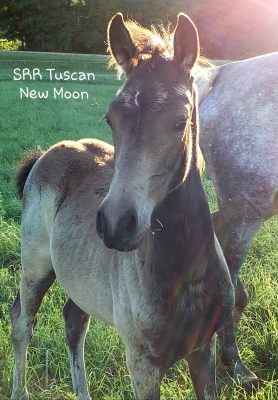 As all our foals, Tuscan is lovable, looks for attention, easily haltered, led, and tied. 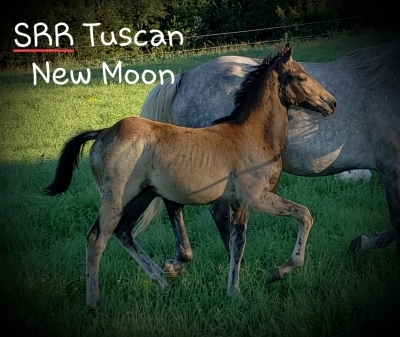 Is Tuscan the colorful quality gelding you are looking for? Registered and DNA verified AMHA. 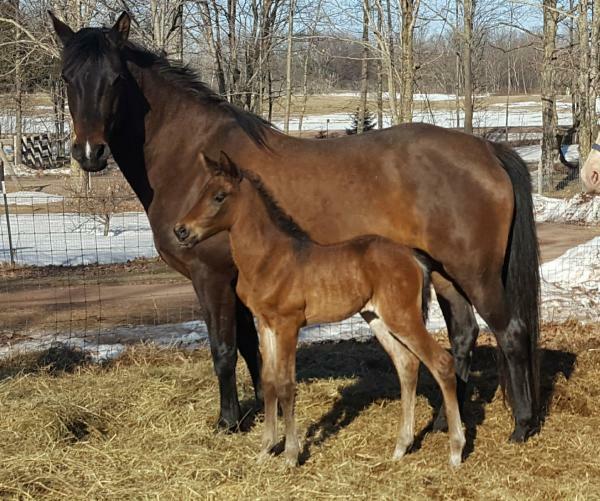 One of the quality 2018 Morgan foals of the Sunrise Ranch! Siskiwit is her mothers daughter in type, color, and nature. She has that capable quiet strength that will acomplish whatever you ask of her! When she moves out Siskiwit shouts MORGAN in movment! What a looker she is with her reaching stride yet solid working type build. 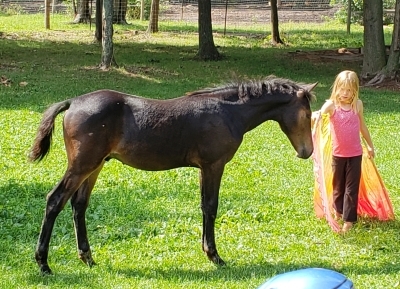 This will be a can-do horse and leader in your herd. 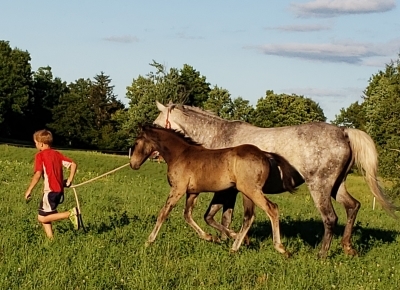 Like all our foals Siskiwit is friendly and social and mannerly around children already halter broke, leading and tying well. Kelly, Siskiwit's dam, is a very strong typey mare that iw what I would think of as old fasioned western working lines. 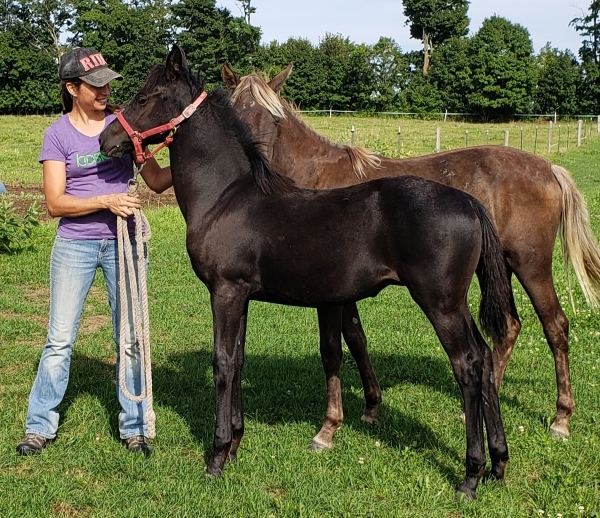 She is a practical tough horse with a willing confident attitude (even competing in endurence) that I am confident she has passed on to this filly. 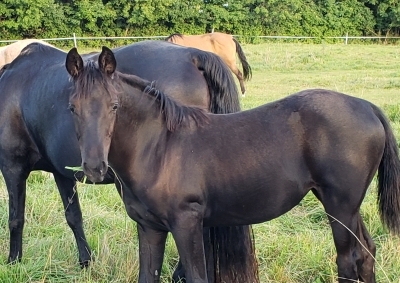 One of the best of our 2018 Morgan foals at the Sunrise Ranch! Ebony is the ideal in a classic Morgan! Graceful, balenced, non-fading jet black, and sweet as can be! We have placed her price above average because that is how we feel about her and we would not mind keeping her! 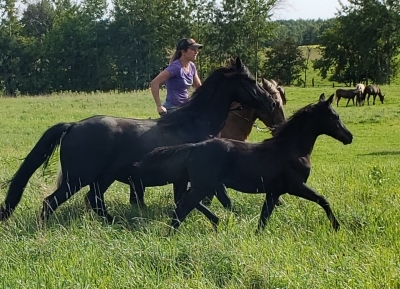 Ebony is a replica of her dam Aspen who is solid JMF breeding bosting in her lines Windhover Regency three times, Immortal Command twice, and lots of quality UVM breeding mixed in. Though Ranger, Ebony's sire, also has Immortal Command in his pedigree, his performance build speaks for itself! 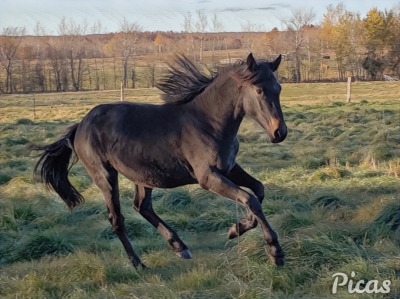 We would be willing to sell Ebony to the right home either in performance or a high level breeding program. 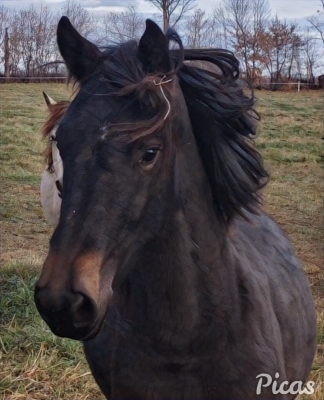 This filly had a look-at-me air about her! 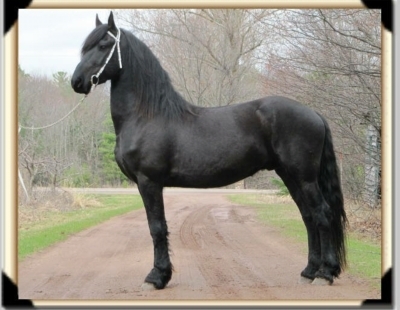 She displays the robust build of her mother and the upright carriage and stride of "Coby" her magnificent Friesian sire! She is very well imprinted by her loving "human family" and handled daily by us and lots of visitors. She leads and ties and will be recieving incrimental training as she matures. 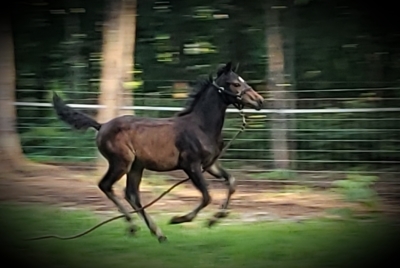 We can clearly see her mothers quiet confident thinking nature and know Lady will make a dependable mount. 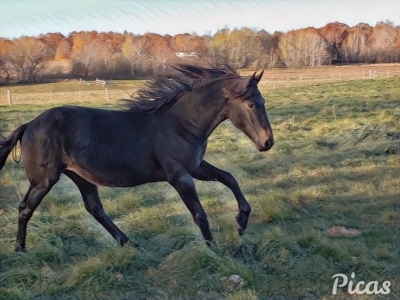 Her sire both rides and drives and is a handsome gentlemen in every way. 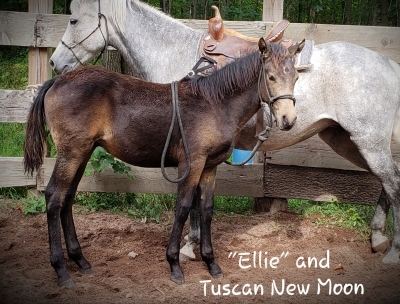 These two have given us fine foals before that have developed exceptionally! 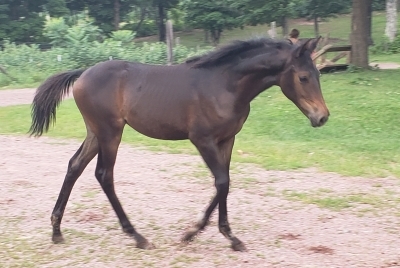 Lady was born June 4th 2016 and is expected to finish 16 hands and a very dark sooty bay like her dam.